Remember how I said (last month) Jarom would get his own personal header for Father's Day? 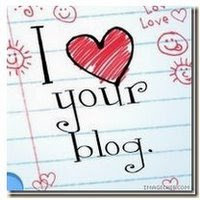 Remember how I used to blog daily? Remember how I used to visit you all daily? Remember when school was still in session? Do you all still remember me? I promise I'll post something new soon, don't give up on me quite yet. I could have written the same thing. Well...except for the personal header for Father's day. Summer is taking all my time! Same here. Finding it hard to blog with summer here....hope you're patient with me, too! I'm just glad you are back! if the mighty blogger Elena is trailing....then I don't feel so bad :)! Looking forward to family reunion pics! I am right there with you, how soon is summer vacation over with? And when did I become the cruise director on this Love Boat? Ha ha! I'm just so glad I'm not the only slacker around here! You just posted this post! You're so funny. I miss you.